If Napster co-founder Sean Parker has his way, people will soon be able to watch the latest Hollywood blockbusters in their living room as soon as they premiere at the box office. New details laid out in a series of patent applications reveal that the platform will likely be equipped with advanced anti-piracy technologies, including a "P2P polluter." Sean Parker is no stranger when it comes to online piracy. The American entrepreneur, who co-founded the file-sharing application Napster, brought copyright infringement to the masses at the turn of the last century. Fast forward two decades, during which he also served as Facebook’s first president, Parker is back with another controversial idea. With his latest project, known as the Screening Room, he wants to pipe the latest blockbusters into homes on the day they’re released. 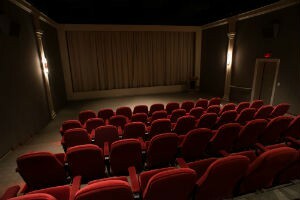 For $50 per movie, people should be able to watch new films on their own screens, instead of going to a movie theater. The project has been praised by some and criticized by others. Several movie industry insiders are skeptical because they believe movies should be seen on the big screen. Others fear that Screening Room will provide quick, quality content for pirate sites. Given the Napster connection, Parker and his colleagues are particularly aware of these piracy fears. This is likely one of the reasons why they plan to ship their system with advanced anti-piracy technology. Over the past several weeks, Screening Room Media, Inc. has submitted no less than eight patent applications related to its plans, all with some sort of anti-piracy angle. For example, a patent titled “Presenting Sonic Signals to Prevent Digital Content Misuse” describes a technology where acoustic signals are regularly sent to mobile devices, to confirm that the user is near the set-top box and is authorized to play the content. Similarly, the “Monitoring Nearby Mobile Computing Devices to Prevent Digital Content Misuse” patent, describes a system that detects the number of mobile devices near the client-side device, to make sure that too many people aren’t tuning in. The patents are rather technical and can be applied to a wide variety of systems. It’s clear, however, that the setup Screening Room has in mind will have advanced anti-piracy capabilities. The general technology outlined in the patents also includes forensic watermarking and a “P2P polluter.” The watermarking technology can be used to detect when pirated content spreads outside of the protected network onto the public Internet. “At this point, the member’s movie accessing system will be shut off and quarantined. If the abuse or illicit activity is confirmed, the member and the household will be banned from the content distribution network,” the patent reads. The P2P polluter will then begin to flood file-sharing networks with corrupted content if a movie leaks to the public. As if that wasn’t enough, Screening Room’s system also comes with a wide range of other anti-piracy scans built in. Among other things, it regularly scans the Wi-Fi network to see which devices are connected, and Bluetooth is used to check what other devices are near. All in all, it’s clear that Parker and co. are trying to do whatever they can to prevent content from leaking online. Whether that’s good enough to convince the movie studios to offer their content alongside a simultaneous theatrical release has yet to be seen. But, with prominent shareholders such as J.J. Abrams, Martin Scorsese, and Steven Spielberg, there is plenty support on board already.